A bright and balance mixture of tomato, vinegar, and honey start this sauce off right, but it's the waves of spices and subsequent heat that really make it something special. I enjoy going to a good craft fair with the wife every now and then, but while I usually go in with the expectation that I might find a new shirt or socks for myself, the latest craft market I visited brought a surprise with it—barbecue sauce. Michael De Los Santos, the man behind the aptly named Mike D's BBQ, had a table with meatballs soaked in his original and spicy sauces. I was instantly taken by the spicy and had to pick up a bottle. The barbecue business called to Mike after his spicy sauce grabbed 3rd place in a North Carolina amateur sauce contest. He officially took the plunge into bringing his sauces to market in 2014, then added a rub to the line-up a year later. 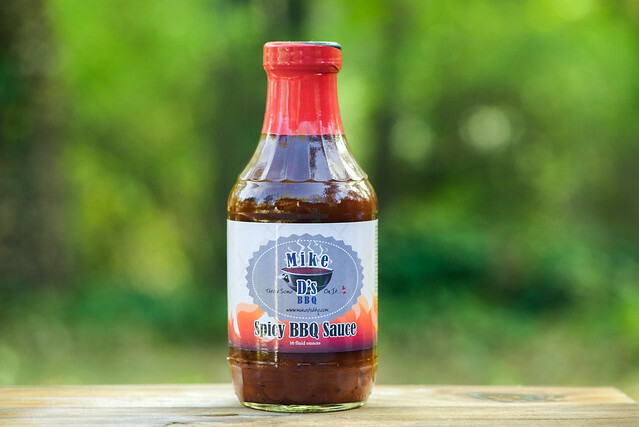 Mike D's BBQ products can now be in four stores in North Carolina, one in Pennsylvania, as well as online. A strong vinegar tang greets you on first whiff of this sauce. Adding a lot of complexity out the gate are citrus and chili components that mix equally with a bright and sweet tomato ketchup character. Sitting right behind those are pungent mustard, Worcestershire, and a light smokiness. As if there wasn't enough going on already, there's also a background hint of heat from the peppers that provided a more earthy aroma earlier. This rusty orange sauce is mostly smooth with a glossy sheen and semi-transparent opacity. This allows you to see the plethora of spice specs that come in varying sizes in black, white, and red. 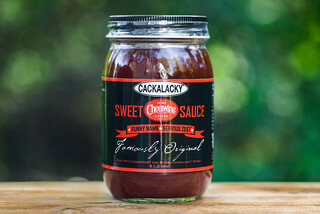 The sauce's medium-thin consistancy has it falling in a very quick, slightly uneven pour from a suspended spoon that ends with a few slow drips and leaves a thin, transparent coating of sauce clinging to the silverware. The first taste is a clean and balanced mix between ketchup, vinegar, and honey. This sweet, fruity, and tart profile quickly gains complexity by an oniony and earthy chili flavor that has Worcestershire creeping in on its coattails. Next, things start turning spicy, first with a pungent mustardy bite that has a background smokiness, then the chilis ramp up their heat, along with an additional burn from vinegar, creating a very tangy and spicy finish and aftertaste. The sauce coated the chicken in a thin, evenly layer that took a few brushings before the leg gained a nice orange color. The sauce baked down very well over indirect heat and had only light caramelization and no burn off over direct heat. 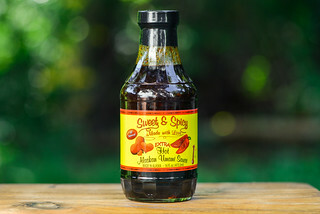 The flavor remained fairly consistent from out of jar—a complex mix of spices with signature barbecue sweetness, tang, and heat. The spiciness did mellow out a little bit, which actually made everything meld even better together and left the chicken extremely well flavored. Sometimes I worry if sauces I try in a one context will hold up at home. I never know how much my response is due to the environment I'm enjoying a sauce in versus true objective evaluation of flavor. I was hoping that it was more than just my joy of finding a barbecue sauce vendor at a craft fair that made me think those sauce-soaked meatballs were amazing, and I'm happy to say all positive memories from that moment were relived after giving Mike D's Spicy BBQ Sauce a whirl at home. This sauce delivers a few things expertly—a bright and balanced mix of tomato, vinegar, and sugar, a complexity of spices that adds lots of layers of flavor, and a really pleasing finishing heat. 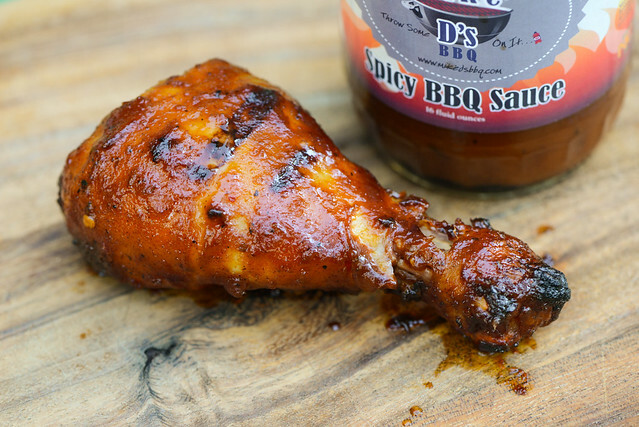 Readers of this blog know I love a good spicy sauce, so I may be a little biased here, but Mike D's achieves a heat along with great progressions of flavors that shows a real craft in the production. 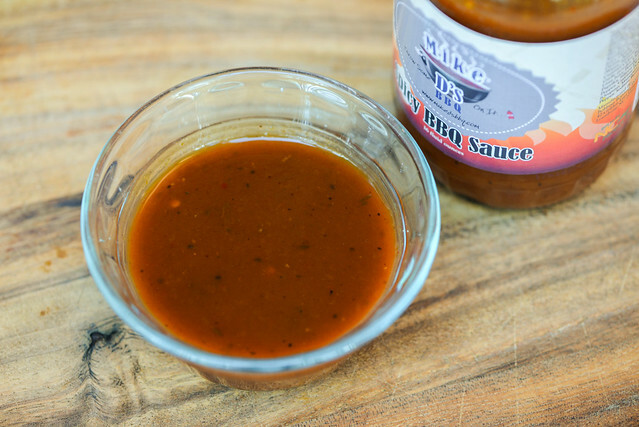 Mike D made me a believer in his sauce by way of meatballs, but it was even better when grilled on chicken, and I think it would be amazing on seafood, pork, and veggies. 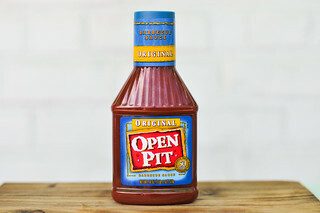 I can imagine this being an excellent dip or wing sauce as well.